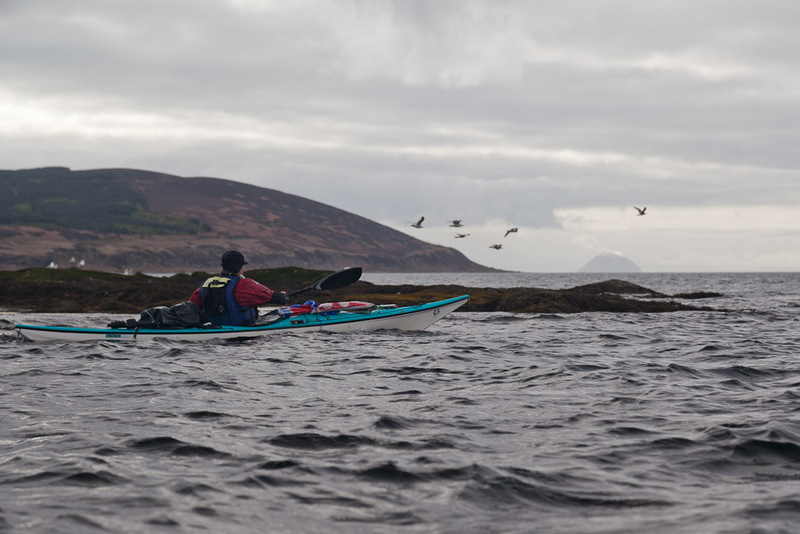 Back on the water, we set off on the third day of our circumnavigation of Arran. 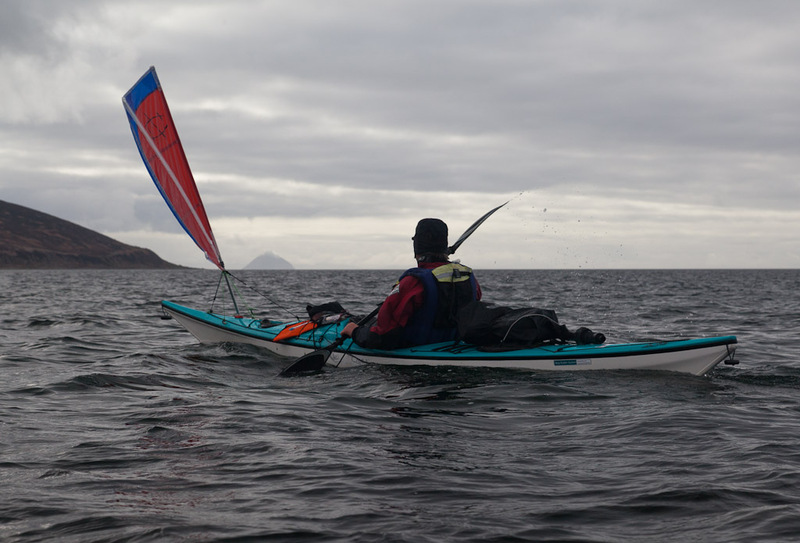 We caught our first glimpse of Ailsa Craig as we rounded Drumadoon Point. Mist was curling off the Craig's summit, giving the impression that it was still an active volcano. 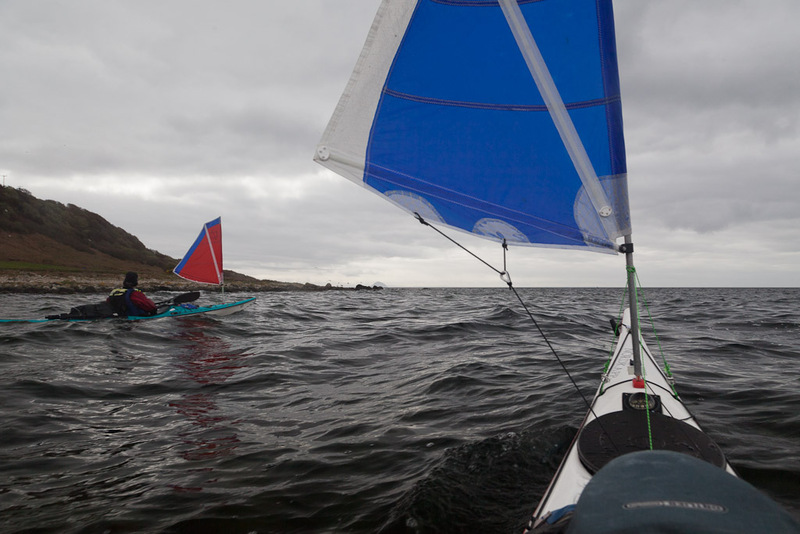 The point was also a turning point as far as our sailing was concerned. 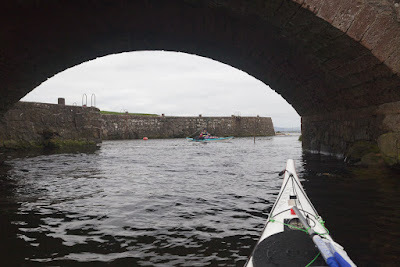 We set off for Blackwaterfoot on a beam reach and were to continue sailing for the next 37km, all the way round to the north end of Holy Island! 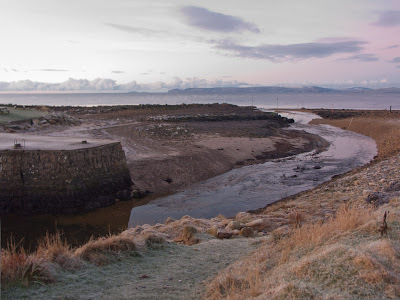 ...until you see it with the tide out, like this view from our visit in January 2010. 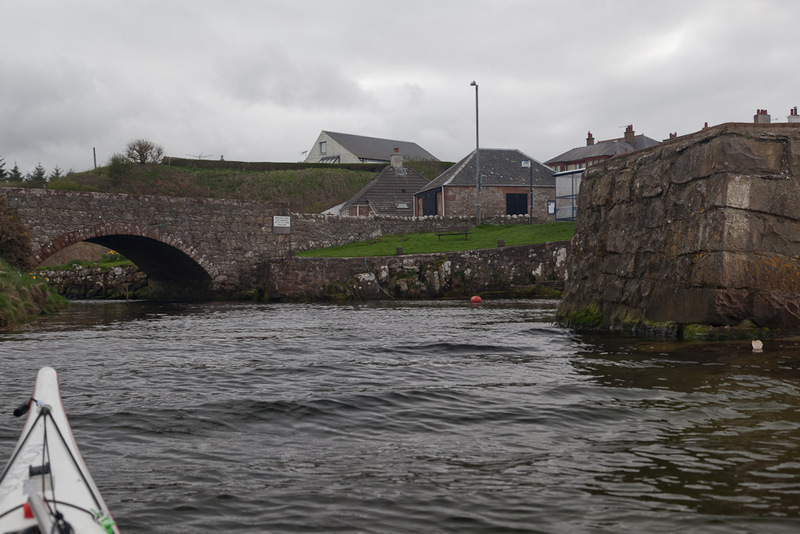 The harbour is little more than a river channel. ...we hoisted the sails again and set off from the harbour towards Brown Head. As we rounded each headland on the southern end of Arran, the wind freed and strengthened and we sailed on an increasingly fast broad reach.